Today the princess went to the birthday party at a trampoline park for a school friend so a card was required. 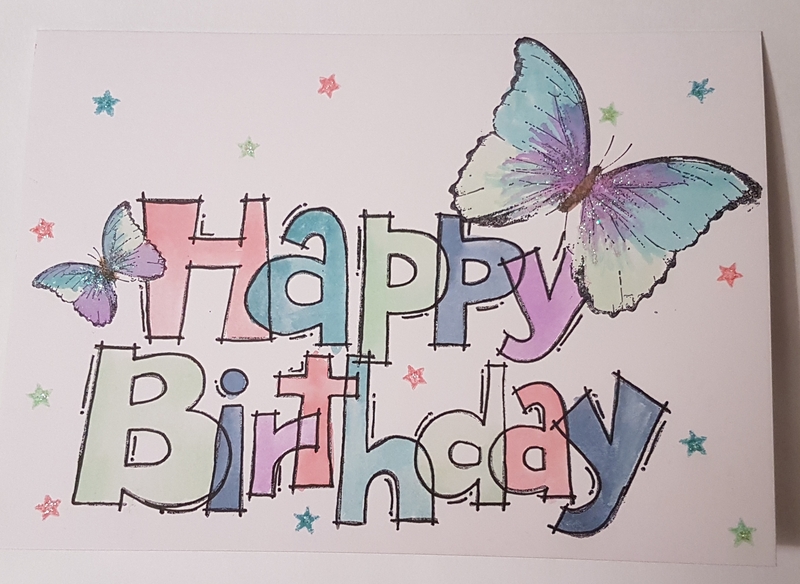 I decided to play with butterflies, masking and the big Woodware Happy Birthday stamps. I used distress oxides to watercolour the butterflies and the letters. Then I stamped the little star using the same colour inks. I then added some stickles to both the butterfly and the stars. Hope the birthday girl enjoyed her birthday… I know the princess enjoyed her time trampolining!